Clay in the Potter's Hands was released in its Preview Edition in 2009, and in its First Printing on 1 July 2011. 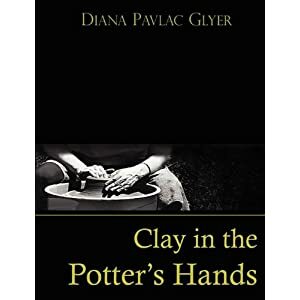 Most Christians have heard that God is the potter and we are the clay, but Diana Glyer, who has spent countless hours at the potter's wheel, shows in this remarkable book that this saying is far more than a casual metaphor. As God hovers over his creation, centering us or shaping us or even restoring us from collapse, he may transform us in ways we never imagined. Ideal for daily devotions, a personal retreat, a Lenten focus, or a small group study, this little book brings new life to a favorite passage of scripture. To contribute your own blurb or to stay up-to-date with what's happening, join the FaceBook Fan Page for Clay in the Potter's Hands. See you there!